Unsettled weather continues with widespread rain showers (and higher elevation snow showers) expected through Monday Night. Decreasing showers on Tuesday. 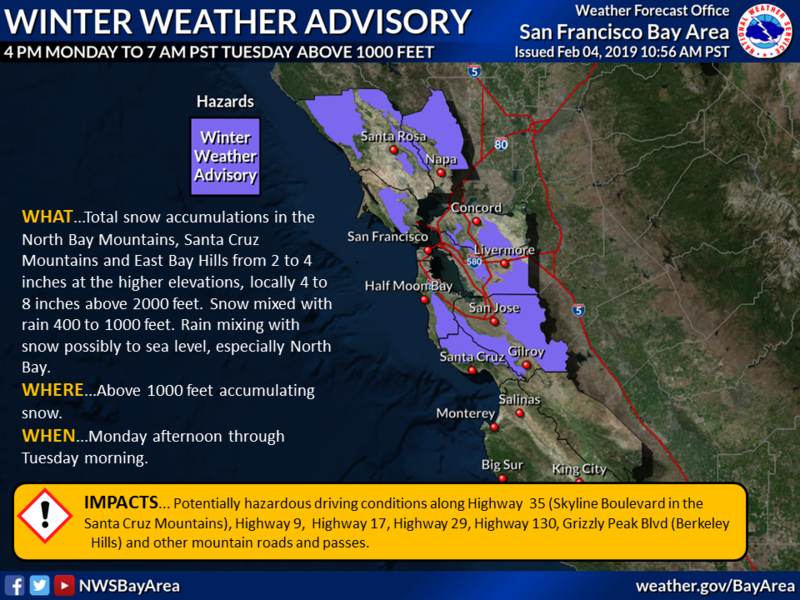 By late Monday night snow levels will drop to 1000 feet in the San Francisco Bay Area. 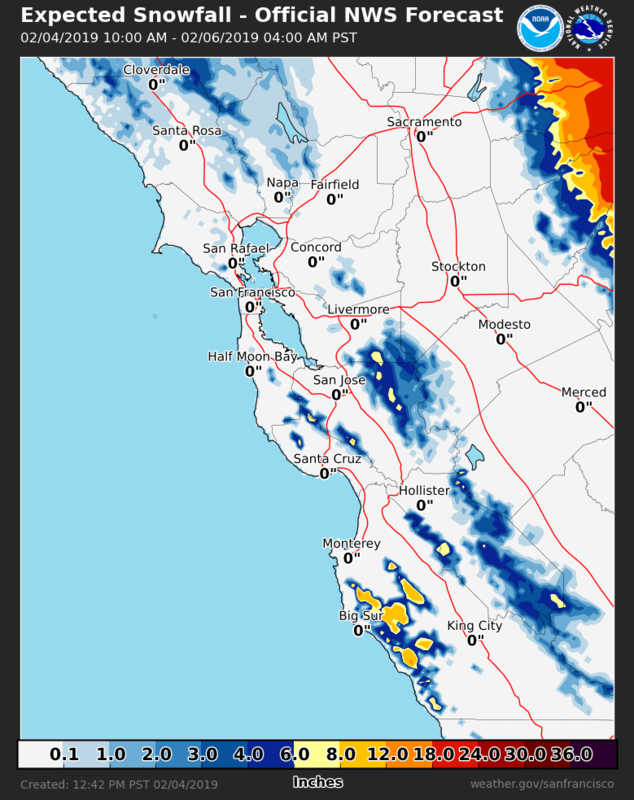 Snow will be mixed with rain as low as 400 feet and perhaps down to sea level, especially in the North Bay. Snow accumulation will likely impact roadways in the higher hills above 1000 feet, which will result in hazardous driving conditions. Additionally, overnight lows will plummet into the upper 20s to upper 30s both Tuesday night and Wednesday night when frost is likely in the valleys. Cold temperatures midweek, particularly Tuesday night and Wednesday night, will threaten vulnerable populations, sensitive vegetation, and outdoor animals. Tune to local media outlets for updates.